The group’s first public performance was at a movie theater in Marshall, Minnesota. Initially the band played only instrumentals, as they did not have a lead vocalist. Another local group, The Vultures, challenged the girls to a “battle of the sexes.” The Continental Co-ets practiced extensively, and included vocals to their performance. This was a springboard to touring extensively throughout the Midwest and Canada. In late 1965, the band traveled to Milford, IA to record two original compositions on the IGL (Iowa Great Lakes) label: “I Don’t Love You No More” and “Medley of Junk.” About 1,000 copies were produced for release and hit the charts in Canada. They recorded two more songs in March of 1966, but weren’t released in the 1990s. 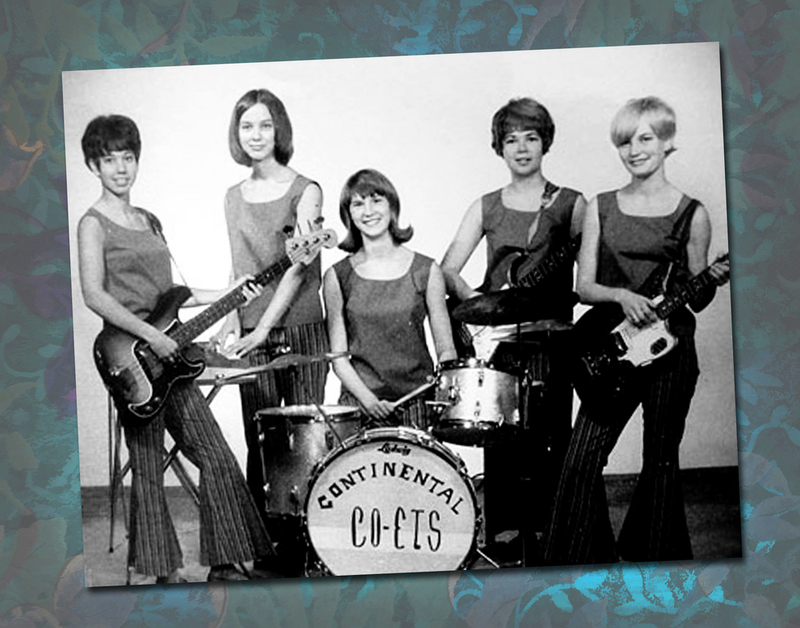 The band disbanded in 1967 when members either left for college or got married. In 2002, the group was inducted into the Iowa Rock and Roll Music Association Hall of Fame.